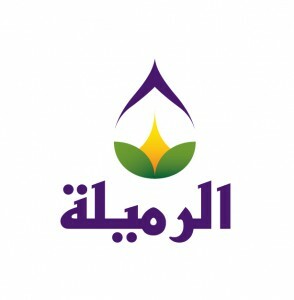 RUMAILA OPERATING ORGANIZATION (ROO) IS MADE UP OF BP, PETROCHINA, SOUTH OIL COMPANY, AND THE STATE OIL MARKETING ORGANISATION TO MANAGE THE 20 YEAR REHABILITATION AND EXPANSION OF RUMAILA OIL FIELD IN SOUTHERN IRAQ. OVER THE LAST THREE YEARS THEY HAVE BECOME AN INCREASINGLY IMPORTANT SUPPORTER OF AMAR’S WORK IN IRAQ AND ROO IS NOW ONE OF OUR LARGEST DONORS, HELPING AMAR TO DELIVER VITAL HEALTHCARE AND EDUCATION PROJECTS IN BASRA PROVINCE IN SOUTHERN IRAQ. This relationship with ROO began in 2012 when, in recognition of our strong relationships in Iraq and our legacy of supporting vulnerable people in the south, AMAR was approached to develop a CSR project to benefit the lives of marginalised communities in Basra Province. Through this relationship, AMAR and ROO delivered their first project together in July 2013, distributing food packages to over 1,000 families during the festival of Ramadan, to provide essential food items to less fortunate families during the month-long fast. In the two years since this first project, ROO’s support has expanded significantly to cover a range of initiatives from essential services, such as emergency relief and the provision of healthcare, to the empowerment of local communities, through stakeholder engagement and vocational skills training. 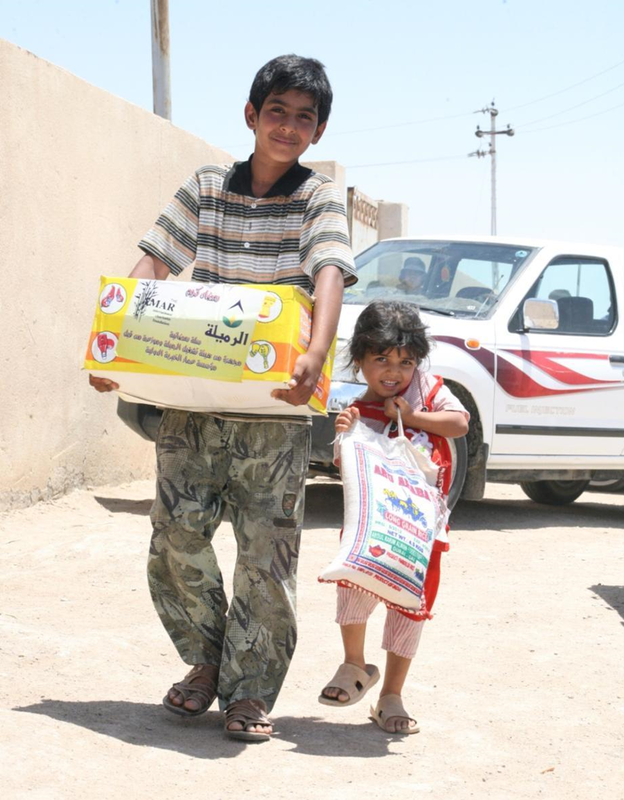 In December 2013, ROO supported AMAR with the distribution of food and basic household items such as mattresses, blankets, and heaters, to 550 vulnerable families most severely affected by rain and heavy flooding in villages in Basra Province. In the same month, AMAR officially opened the ROO-supported Health Post in partnership with the Ministry of Health, to deliver much-needed GP and nursing services to this isolated community and to empower women through our flagship Women Health Volunteer’s programme. In the first fifteen months since the Health Post opened its doors, the doctors and nurses provided 5,380 healthcare consultations and the 20 WHVs made 19,600 household visits, bringing essential healthcare directly into the family unit. With ROO’s support, this Health Post also began administering vaccinations in September 2014 and, to date, over 700 children and pregnant women have received vital inoculations to protect them from debilitating and potentially-fatal diseases including polio, measles, tetanus, and hepatitis. 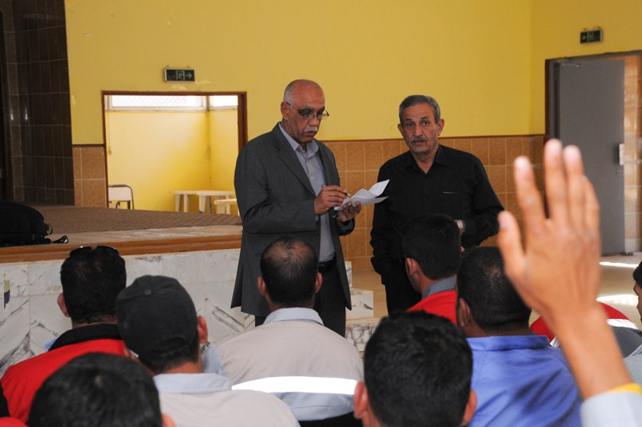 Local engagement is central to ROO’s approach in the communities they work in in Basra Province, which is why they have become such a reliable partner for AMAR, where local ownership, capacity building, and voice, are at the heart of everything we do. In November 2014 AMAR and ROO facilitated a large stakeholder conference with local Sheikhs and council members to build relationships and to allow local leaders to share their vision of development. As a result of this, and in response to stories of severe unemployment and limited opportunity in Southern Iraq, AMAR and ROO worked together to implement an Employment and Vocational Skills Training Project in Basra Province. Since initiation in November 2014, this project has delivered over 550 workshops to 43 trainees in concrete, practical skills such as construction, welding, and plumbing to help them find employment, as well as over 80 workshops in Human Rights and Participation in the Workforce, to increase the trainees’ understanding of their rights as workers and employees. Having heard of the grave areas of need experienced by residents of Basra Province, in 2015 ROO will be significantly increasing their support of AMAR’s work in the community. AMAR and ROO are currently developing plans to construct a new Health Clinic, to improve access to drinking water, to implement a Community Clean-up Campaign, and to expand access to vocational skills training. Through these projects, AMAR and ROO will be able to improve the health, well-being and livelihoods of thousands of individuals and their families who, without this support, would be without access to safe drinking water, adequate healthcare, or opportunities to access employment. Under this new 2015 programme ROO has become one of AMAR’s biggest donors and AMAR is immensely grateful to all the ROO staff for their commitment to the people of Al Khora and their efforts to reach those living in marginalised communities in Southern Iraq.